Free, but bring food to share and zines to trade. Pete's Mini Zine Fest at Pete's Candy Store. Free, with zines, food, and beverages for purchase. 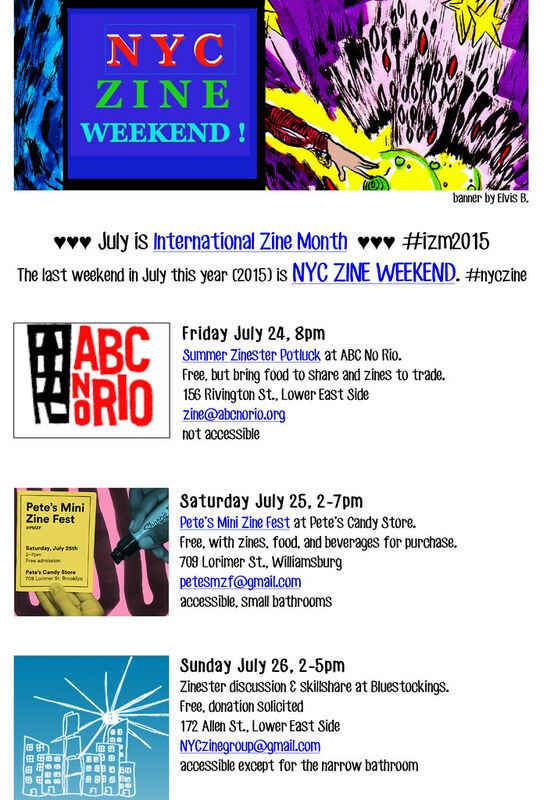 Zinester discussion & skillshare at Bluestockings.